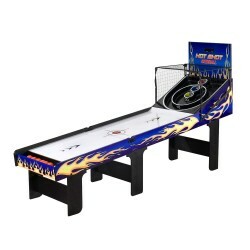 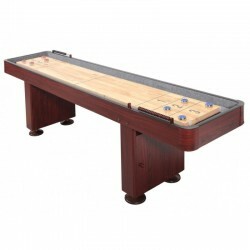 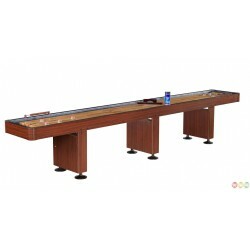 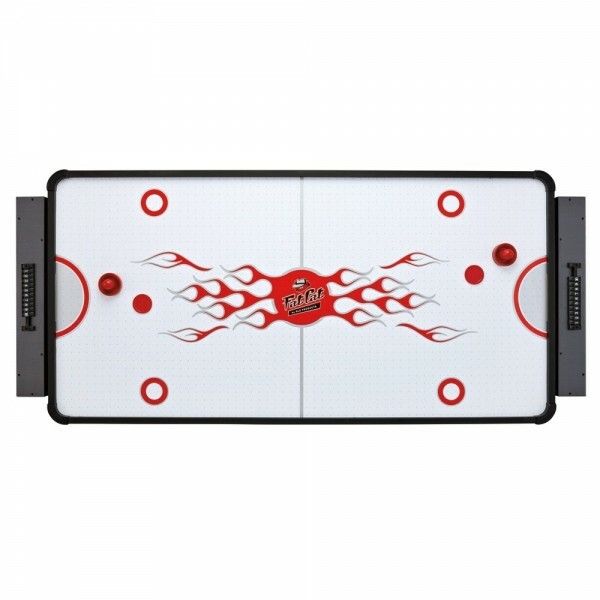 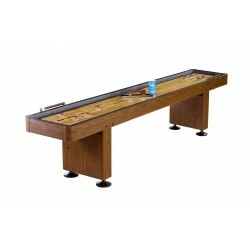 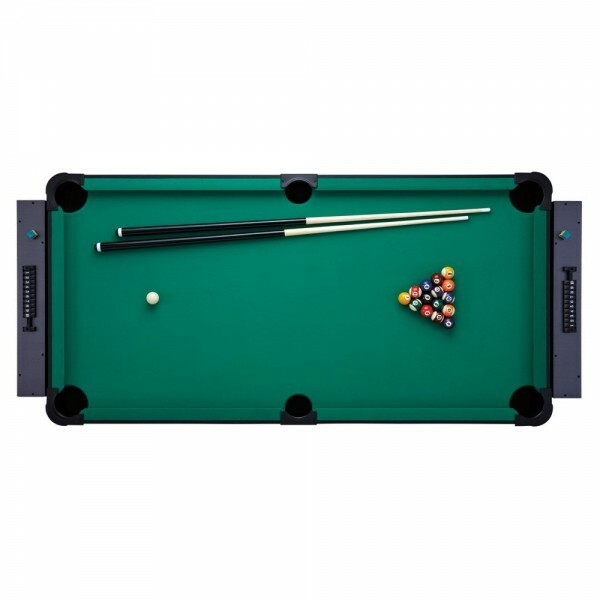 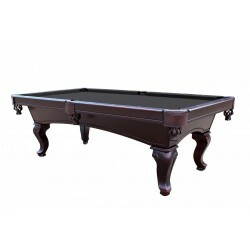 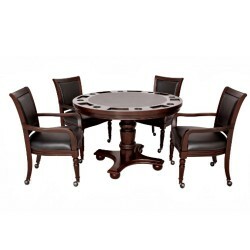 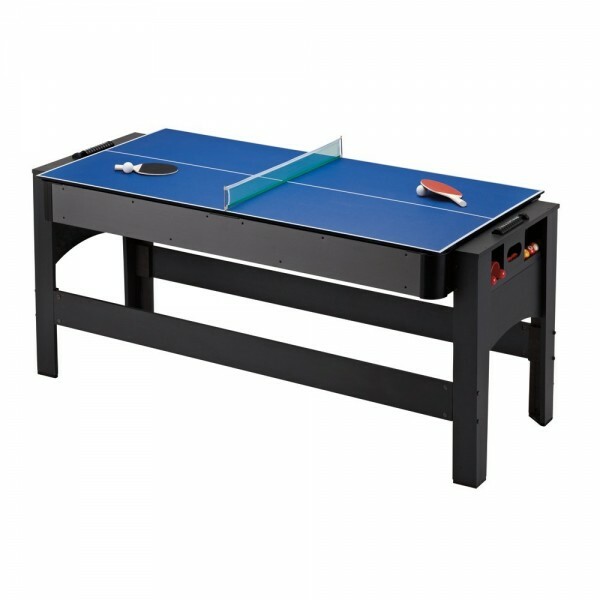 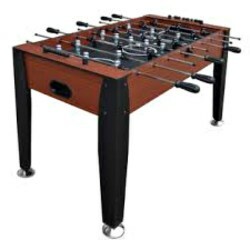 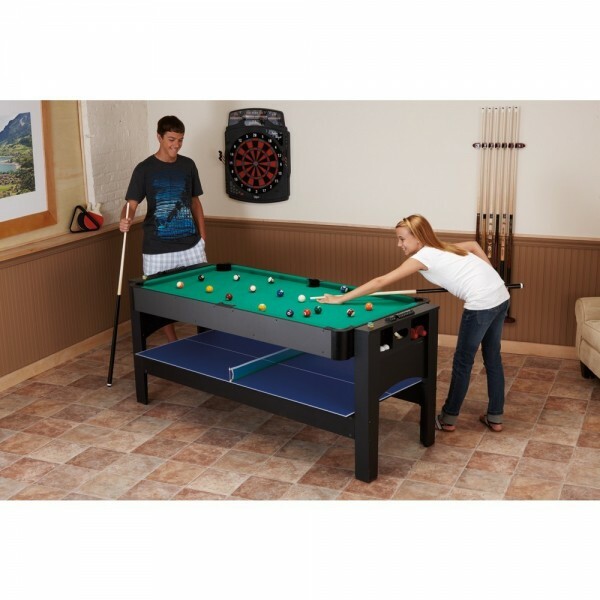 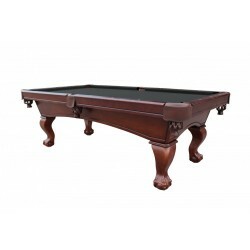 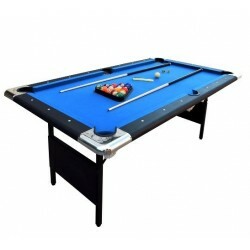 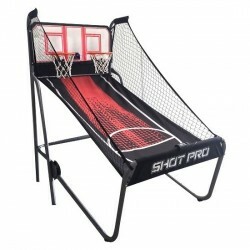 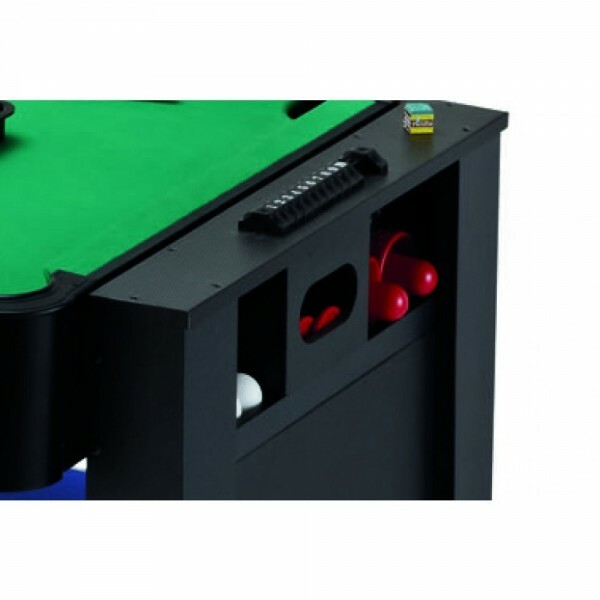 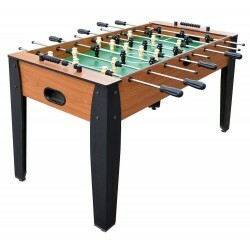 Pack a fun filled wallop in your game room with this exciting 3-in-1 game table. 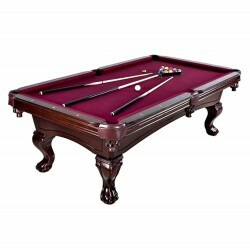 On one side of this compact table is billiards, while the others side is air hockey. 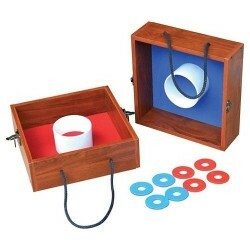 Just flip the table around to select one game or the other. 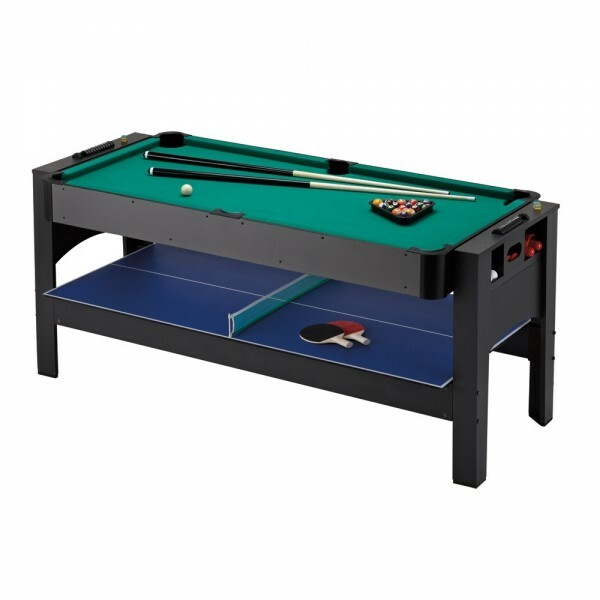 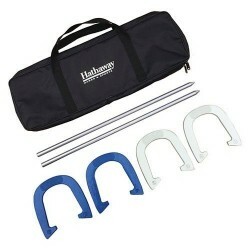 The easy-latch locking system makes flipping the table to change games easy. 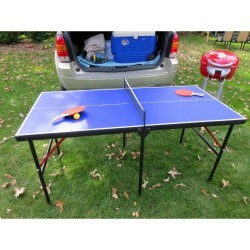 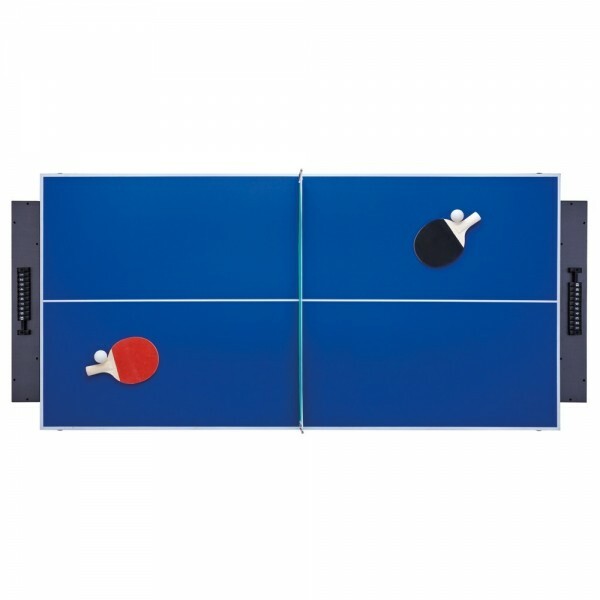 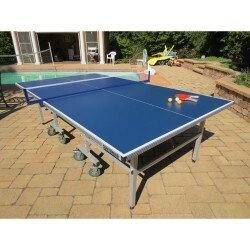 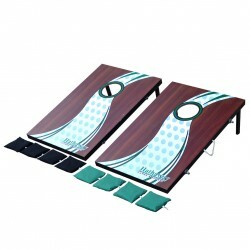 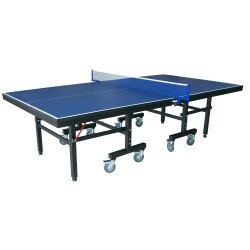 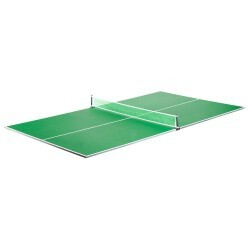 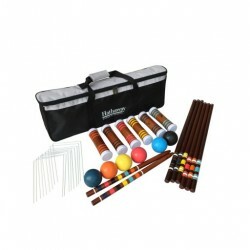 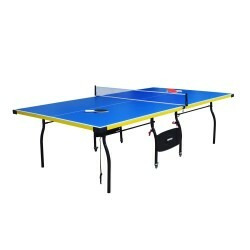 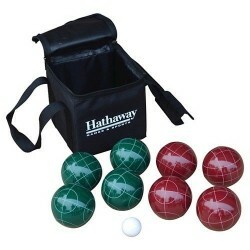 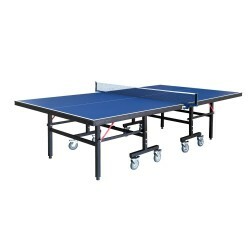 For table tennis, just place the table topper on top of the billiards table and you're all set to play! 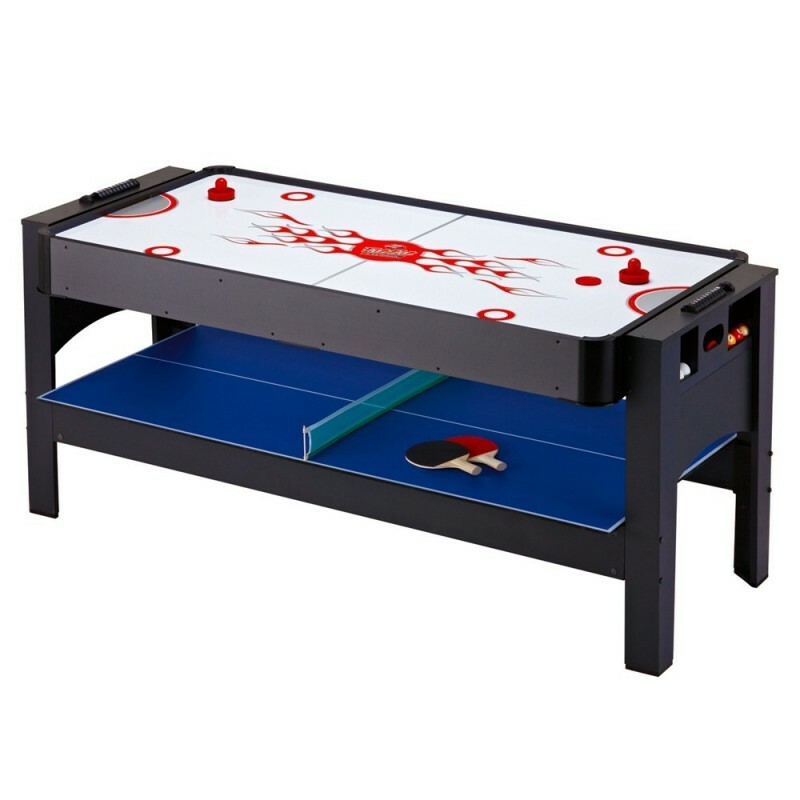 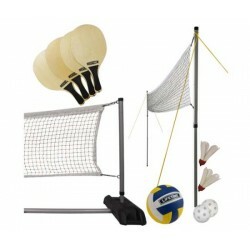 The table is made of high quality “CARB" certified MDF material and includes all the accessories you need to play all 3 games.